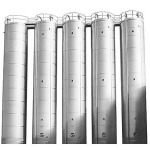 Silo structure website. This is step 3 of 7 steps you have to do to build a silo structure website. Step 3 is to set up widgets on pages. A silo structure website keeps all same topic pages together and should be done when you start making a website. We show you how to set up the widgets on pages plugin on your silo structure website, and the setting you will have to do to create your silo structure website or blog. How To Create a Website will help your site or blog and will show you the correct way to set up a website and within the requirements set out by the Semantic Web and will become your permanent savior with a true and tested website architecture called Silo Structured Design. From your dashboard go to plugins and find the widgets on pages plugin and click on settings. Start with the number of additional sidebars. This relates to the number of silo pages that you have got -1. So if you have 5 silos you will place the figure 4 in the box then click on save changes. You will now see options below to give your sidebar names. Next put the names of those silos in the respective boxes and save. Go to appearance and the widgets page in your dashboard you will see that it has created additional sidebars ready to use on your pages. Next drag the categories post widget and drag it in to each of the new sidebars.